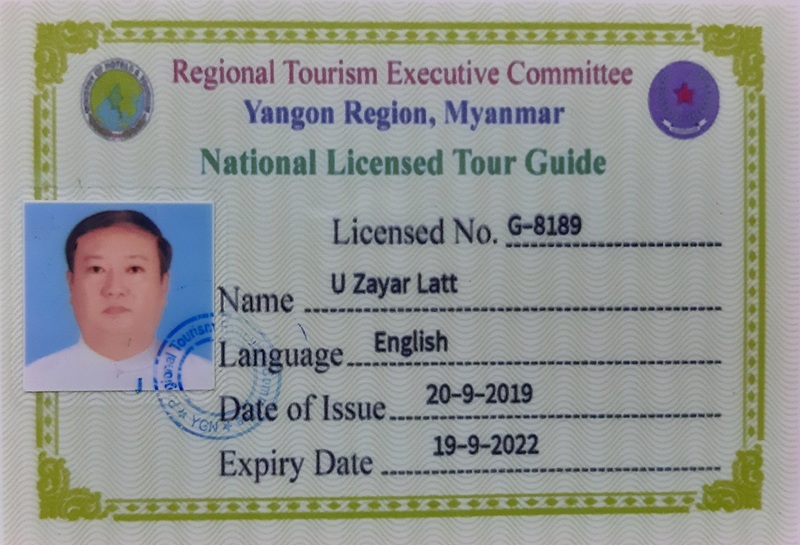 My name is Zayar Latt, I am a professional driver and licensed tour guide in Myanmar. 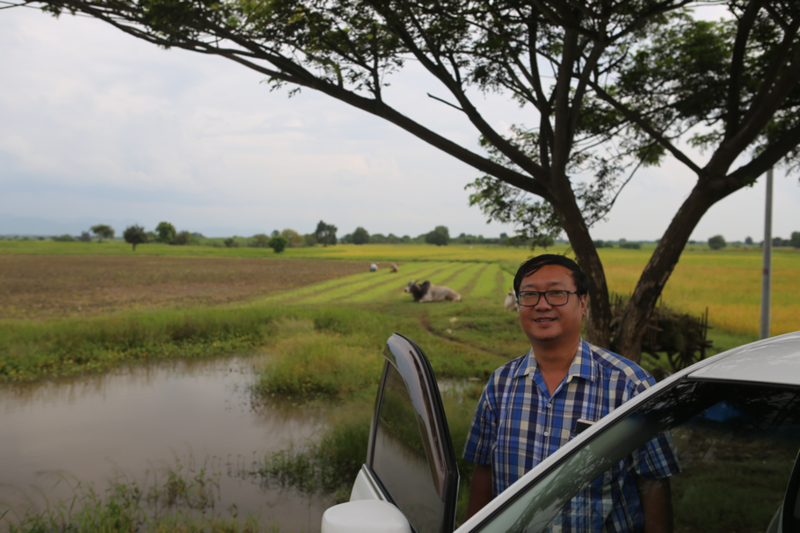 Since more than 10 years I am guiding and driving customers from all around the world through my beautiful home country Myanmar. There are only a few licensed tour guides who drive and guide at the same time, I am one of them. I am based in Yangon and will be your perfect partner from the planning phase of your trip until your holiday here. I will drive you with my spacious car with AC and my guiding will be in fluent English. This is me on one of my many trips on the countryside. I was born in 1973 in Yangon and studied Physics at the University. After university I was a sailor on the oceans of the world. 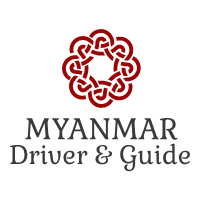 After founding a familiy I started as tourist guide and driver in Myanmar. 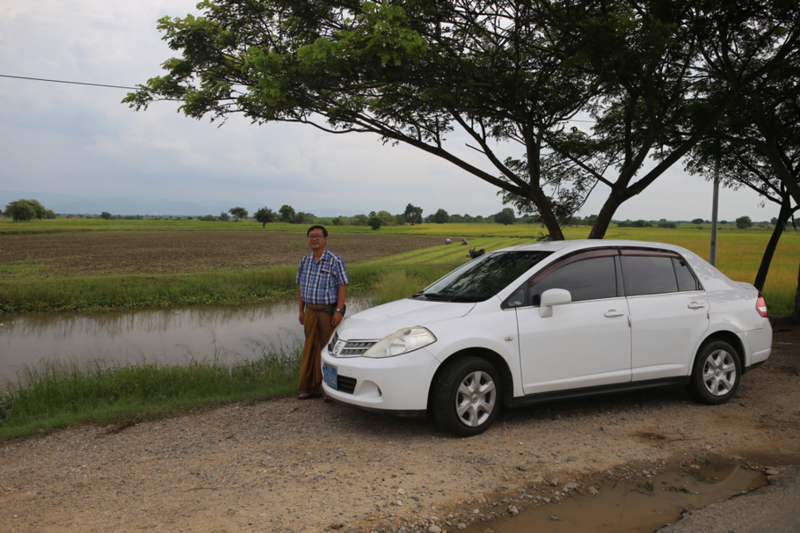 This is my standard car I will drive you around Myanmar. If you are more than 3 people I can also arrange a Van or a Minibus for our tour. This license will be renewed every two years. I got my license in 2013.